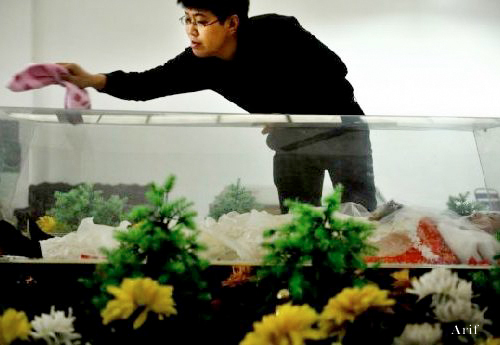 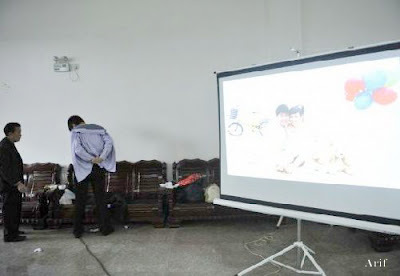 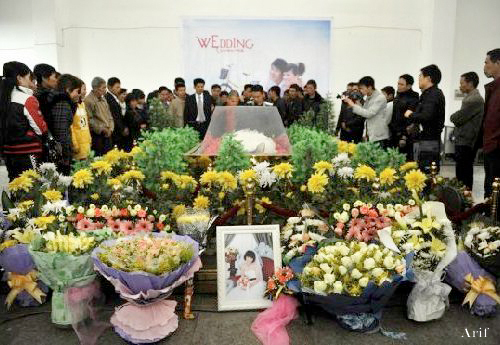 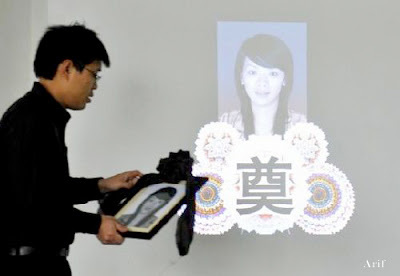 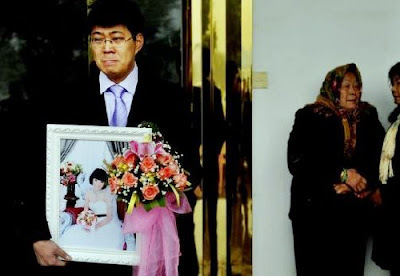 A 26-year-old Chinese man Zhuang Huagui has married hisdead girlfriend Hu Zhao, 21, who was murdered 8 days ago. 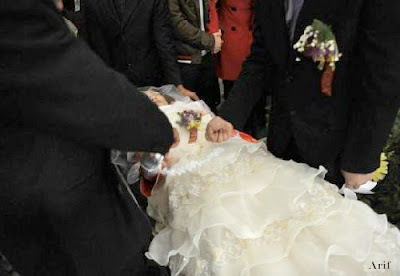 Dear- my sleeping beauty... ! I will wipe your glass covered casket with my love..! 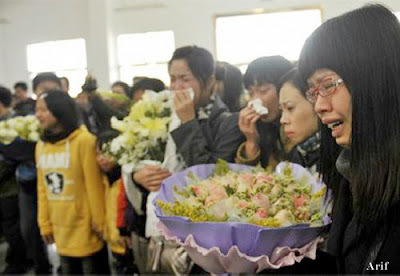 Wishing the soul with tears . 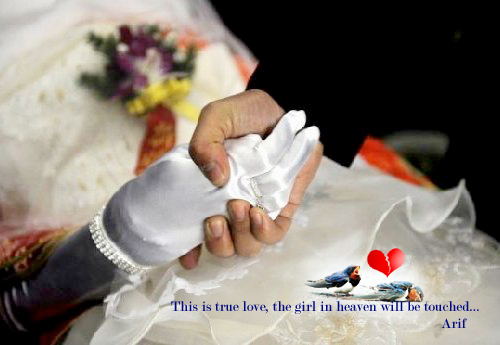 My love, I hold your chilled hand and promise upon GOD..
You will live in my heart forever ..